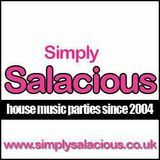 Simply Salacious Parties started life in 2004 and from there we have held some of the most talked about house music parties in London. Our weekly radio show The Simply Salacious Dance Party, is broadcast live from the Mi-Soul studios in London every Tuesday and is now in its third year. The show features a wealth of exclusive material as well as interviews from artists and producers from within the house music fraternity.